Okay, so you've been reading up on Tarot cards, and you've probably seen references to reversed cards... but you met that reader at a psychic fair, and she told you she doesn’t use reversed cards at all in her readings! The reading might have been accurate, but it still seemed weird, didn't it? So, was that reader doing it wrong? Well, not necessarily. In fact, not everyone reads reversals in their readings. Some people choose not to use them because there are 78 cards in a Tarot deck–and often that is enough to give a Querent plenty of insight into their situation, particularly if their question is a simple one. Using reversals gives a reader 156 options–and it's not always certain that 156 will cover something which isn't covered by that original 78. If a Querent has a particularly complex set of problems going on that require a more detailed reading, many readers will include reversed cards in the spread, even if they normally wouldn't. Are there downfalls to eliminating reversals from a reading? Sure. If the issue at hand is a complex or detailed one, it could be that this omission ends up leaving important clues out of the reading. There are a number of subtle bits of information that can show up in a reversal. On the other hand, if the issue at hand is a simple one, it's not uncommon for a spread without reversals to reveal all that needs to be shown. It's also important to remember that a card's reversed meaning isn't necessarily the exact opposite of its upright meaning. A card that is seen to have negative connotations when upright–for instance, the Tower–doesn't suddenly become all sunshine and rainbows once it's flipped upside down. In other words, while a reversed card may have a different meaning than its upright interpretation, it's not as cut and dried as "good vs. bad" or "positive vs. negative." It’s a bit of an oversimplification, but consider that each card’s set of meanings could be viewed on a spectrum, ranging from light to shadow... A reversal can be a sign that the card’s energy is currently manifesting on the shadow side of the spectrum... The physical reversal here is just a stand-in for what your intuition alone might discern. There are also readers who refuse to use reversals because they find them mostly negative and off-putting. That may not be a great reason, because there can be plenty of negativity even in the 78 upright cards. Also, one might argue that a reader is doing the Querent a disservice if they refuse to discuss something just because it seems negative or icky. "Visit any of those free Tarot reading websites and you’ll often find the descriptions of the reversed cards are peppered with dramatic words and phrases such as ‘deceit,’ ‘betrayal,’ ‘divorce’ and ‘trickery and fraud’... To avoid anxiety-filled Tarot readings riddled with negative and dramatic interpretations of reversed cards, it is important to understand more about the many ways in which the reversed cards can be interpreted. 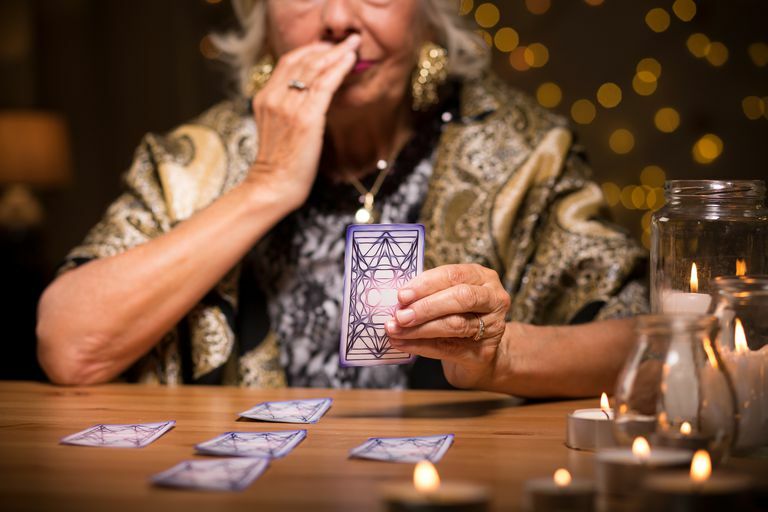 In this way, you can effectively use reversed Tarot cards to provide your clients with deep insight, constructive feedback and advice, and renewed hope." No matter which way a card lands on a table, it always has multiple meanings to it, so whether a reader chooses to use reversals is sometimes irrelevant. A competent, intuitive reader will know what the symbolism of the card is, and how it applies to the Querent, no matter which direction it’s facing. Early Tarot cards were interpreted in one way, based upon astrological terminology, and it wasn’t until fairly recently that decks came along with little instruction books that included specific definitions of reversed cards. So, was the reader you met with doing it wrong? Not necessarily. If you feel that your reading was fair and accurate, then it sounds like he or she did things correctly, and the lack of reversed cards probably did not make a difference in the final outcome of your reading. If you've ever thought you might like to learn the Tarot but didn't know how to get started, try our free Intro to Tarot study guide!